When you’re in the middle of sleep training and your baby gets sick, is it okay to continue with the training? 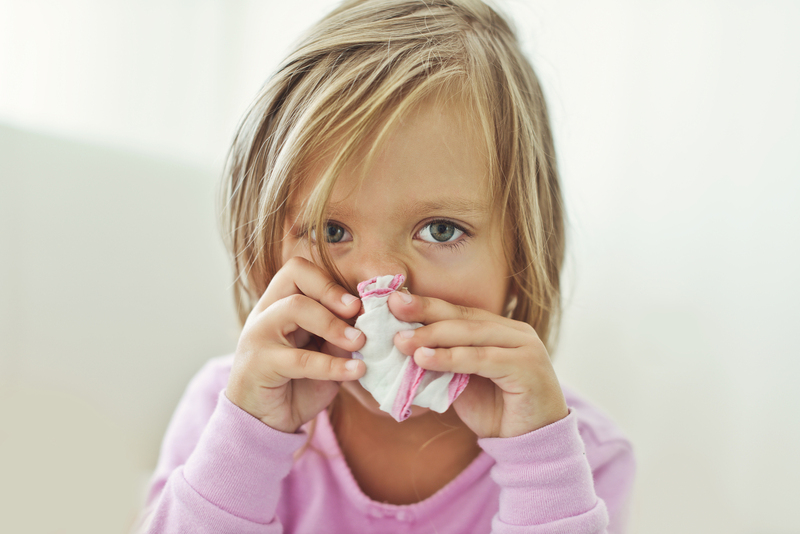 When our little ones are sick, they need us more than usual for comfort and cuddles. Don’t feel that you shouldn’t go in to them when they’re unsettled and unhappy during this time. This is the time to get them better, to ride out the sick period and then start the training when they’re feeling better. It also depends on how sick they are. If they’re a bit sniffly, not off their food and still reasonably happy, it’s not a problem to continue training. However, if they’re having trouble breathing, really not happy, off their food, fever, vomiting, diarrhoea and the general demeanour is not great, do what you need to do to keep them happy and comfortable. Sleep training can continue when they’re better. Are you TIRED of being so tired?? We can help! Immediate access to the complete Baby Sleep Project. Pay by PayPal and have access to all the information within 5 minutes. NO CIO – we will NOT tell you to shut the door and leave your little one to cry it out. Should I drop the night feed to get my baby to sleep through? 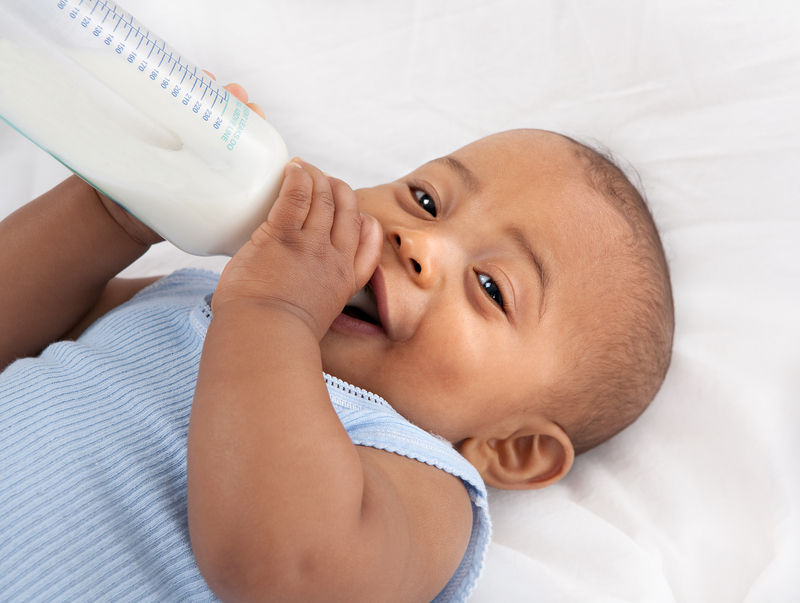 If your baby is having a night feed before bedtime (be that breastfeeding or a bottle) and they’re not sleeping through the night, it certainly doesn’t mean you have to stop the night feed to get them to sleep through. I see no correlation between feeding to sleep and then sleeping through. I definitely see correlation in how we respond to the wakings, if they’re waking through the night and then having a feed to get back to sleep. I’m confident that you can keep the bottle at bedtime and still have a baby that consistently sleeps through the night. They’re two separate issues. I’ve helped many families who have sleeping through as the goal, but still keep the night feed. There are plenty of people whose little ones have milk at the end of the day. The issue isn’t the last feed. It’s the night wakings that need to be addressed and certainly, the way in which you respond to those wakings. It is a case of choosing a way that you’re going to respond to the night wakings and then responding that way every time consistently. Just try to think about doing less. So you might start with sitting next to the cot, patting and shushing, etc. and then over the nights, you need to do less and less. Wean them off that. It certainly does not mean shutting the door and not going back. That’s sleep training in a nutshell – simply doing less of what you’re doing to get baby to sleep and getting them to do more to settle themselves. So no, you absolutely do not need to drop that night feed to get a little one sleeping through. It’s more about addressing those night wakings as a separate issue. The difference between nightmares and night terrors is that with nightmares, children are usually able to remember what they’re about. With a night terror, your little one will have no memory of the event. They’re inconsolable, they’re unarousable, they don’t realise what’s happening and once it’s over, they go back to sleep. Normally, a night terror is in the start of the night, so almost pre-11 PM, whereas a nightmare would be in the last half of the night. If your little one is having regular nightmares, I would check that none of her reading material or anything she’s watching is triggering them. If they’re scared of monsters/ghosts/etc. my biggest gripe is when parents use “Monster Spray” to scare the monster away. I feel that you’re inadvertently saying that monsters are real. I’m not a fan of locking cupboards or checking under beds either – for the same reason. If it’s a nightmare, you just need to console your child – “Everything’s fine, etc.” and the key is to do it during the day too. Don’t limit your conversations about this to night time when your kid is inconsolable and scared witless. Address their anxieties during the day. Perhaps if they’re a sibling, I’d be checking that they’re not feeling like they’re not getting enough quality time with a parent. It might just be about checking in with her during the day and talking about the issues during the day, so that at night time it’s not taking over in her brain. 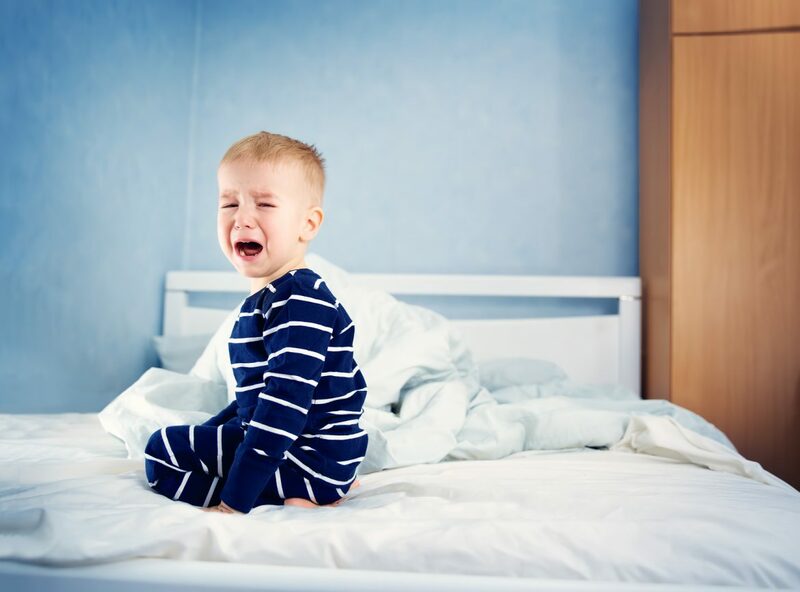 With night terrors, I’d also be addressing any anxieties that your little one may have during the day. Ensuring a good sleep routine and that they’re not over-tired will help too, as night terrors are more frequent when they’re over-tired. As frightening as they are to witness, it’s important to remember that it’s not affecting your little one and they won’t remember what’s happened after. They eventually do grow out of them. Often when babies are little, parents co-sleep so they can get much-needed sleep. What happens when baby gets older and starts to move around more though? There is always the fear that once they’re moving and crawling or even walking (as toddlers) that they can crawl or climb off the bed while the parents are sleeping, which is clearly unsafe. This means, they need to transition back to the cot for night sleeps, for their own safety (and to give the parents back some sleep!). What’s important is that we certainly don’t want to go from something as beautiful and loving and caring as co-sleeping to something quite brutal and dramatic like leaving them alone in the room, shutting the door and not going back, etc. We certainly don’t want to move from one idea straight to the other, which is probably what a few people might consider doing. What’s important is that you respond to their needs and you do this process as gently as possible for both parent and child. My suggestion would be to sleep in the room for a while, perhaps put a mattress on the floor next to the cot, so you’re still there with the baby. It’s like when you were co-sleeping. That way they still feel comfortable, that you’re right there with them, just like before. Then as it always is with any sleep training, it would be a matter of trying to gradually do less. It might be that you physically withdraw from the room gradually, or you spend a little less time in the room gradually. That’s totally up to you how you do that, but it’s important that you gradually ease the baby into this process. Why work on night sleeps before naps? 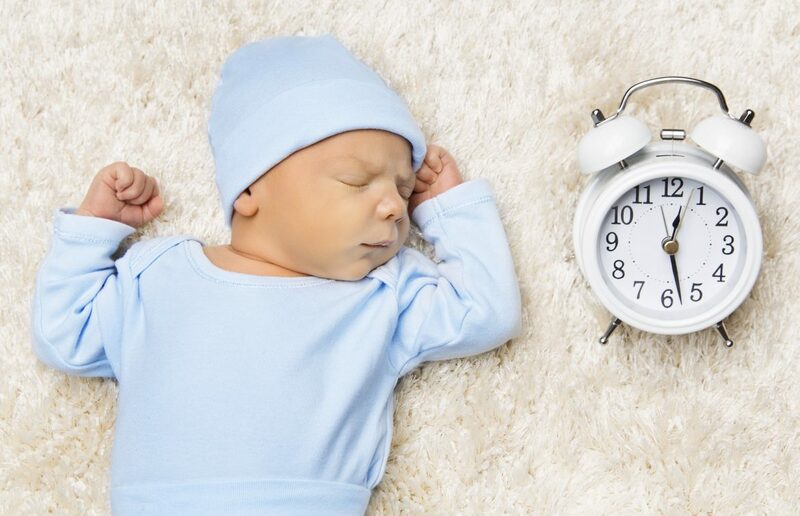 One of the reasons we work on night sleeps first is because it’s an easier thing to tackle because the baby has their circadian rhythm to help. We know that they need to be asleep. Their body knows that they need to be asleep, but they just don’t know how to go to sleep. At night the world has quietened down, things are calm and there’s no activity where they’d want to know what’s going on outside, etc. Whereas day nappings are a lot more difficult because there is bit more activity happening and their circadian rhythm is not saying it’s time for sleep. The second reason why we address nights first is honestly – it makes the BIGGEST difference to the family. If you can get some decent sleep and your partner gets some decent sleep, then everyone is going to be in a much better frame of mind and then naps can be addressed if necessary. The third reason is that if we’ve addressed the night sleeps and your little one is sleeping really solidly through the night for at least a week or so, you’ll normally see the naps improving organically. It’s like their body kind of gets it. When their body is getting all that awesome sleep overnight, the naps tend to follow. Not always, but certainly they’re going to be in a much better place psychologically to address those naps. A follow-on question could be why can we address nights and not naps? A lot of people think we need to be really consistent around the clock. You actually don’t. Naps and nights are governed by two separate parts of the brain. Night sleeping is a human thing we all do – we’re diurnal and we all sleep at night, whereas naps is generally a “baby thing” and so they are governed by two separate parts of the brain. This is why it’s not confusing when we address one and not the other. Night toilet training is not a behavioural thing. It’s a physiological function. Daytime toilet training is behavioural. The child knows when they need to go to the toilet and when they’re ready, they’re ready. With night wetting, they can try hard, you can reward them with stickers, you can ask them when they need to go to the toilet, but it is a physiological function. If you’re finding your little one is waking up due to night wetting, even when they’re day toilet trained, my advice to you would be to keep the night nappies on until you’ve had three weeks of dry nappies. Then you can start taking them off. It’s like having a sticker chart for your husband and giving him a sticker reward every time he goes through the night without snoring. It’s out of your child’s control if they wet or not. It’s not a thing that they can learn to do. It is simply a case of their body not being ready to go through the night without wetting yet. It’s not something that they’re deliberately doing. It’s not something they’re ignoring. It’s just something they simply aren’t ready to do yet. When should I wean baby off white noise? White noise is a positive sleep association. It’s something you can give to a babysitter, take on an aeroplane, take to a hotel. It’s not something that requires someone to do something really specific that can’t be simulated by someone else. White noise is totally fine as a sleep cue. Adults have a sleep association too and that’s our pillow. We would find it really hard to go to sleep without a pillow. We’d eventually get used to it, but we’d prefer to have a pillow. That’s not a bad thing because everywhere we go that we’re expected to sleep has pillows. I wouldn’t be trying to wean baby off it at all. In fact, in America, plenty of adults go to sleep with white noise because it’s to drown out the sounds of the very densely populated cities outside. It’s really not unusual in other countries for people to use white noise even as adults. I have a lot of parents who have previously had their baby sleeping in their room and so they’ve had the rain or the ocean sounds. Then once their baby goes and sleeps in their own nursery, the parents still prefer to have the white noise on because they’re hooked. It’s totally fine. I wouldn’t be trying to wean baby off it at all. Is the Online Sleep Program a strict schedule-based solution? I’m not down with strict schedules and our solutions aren’t routine-based. I don’t agree with people having a, this is when your baby wakes, this is when your baby feeds, this is when they have solids, this is when they go back to sleep. I don’t think that humans act that way. We don’t all do the same thing, the same time, every day. If babies wake up a little bit earlier one day then maybe they should go back for their nap a little bit earlier that day as well. I certainly know if I wake up earlier in the morning, I’m ready for bed a little earlier that night than I usually would be. We’re humans and we are adaptive and we change and we’re influenced by how much activity there was that day. Schedules for babies don’t work. They don’t work because babies don’t all fit in perfectly into schedules. If you wanted to buy our online program, we certainly are not going to tell you that your baby has to do certain things at certain times. 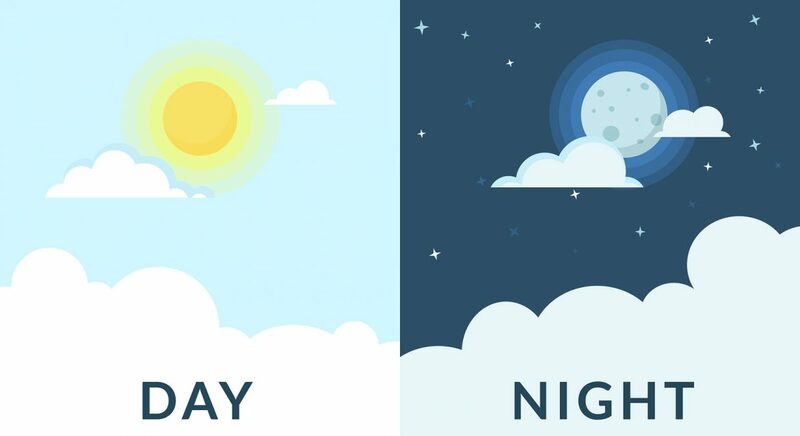 Basically, we’re kind of focusing on the nights and if you want to work on the days that’s great, but you can just doing whatever you need to during the day and focus on the nights because that’s what good for everyone to have a good night’s sleep. Can we be flexible with Baby’s bedtime? It gets drilled into us as parents that babies need a routine, a schedule, they need to do the same thing every day, every time, everything has to be the same, same, same, same, same. There’s a lot of advice out there that says that babies always need to be in bed at seven o’clock on the dot, never earlier, never later. I, however, do not believe that babies need to go to bed every single day at the same time because I think that bed and bedtime are fluid notions. I think it’s something that changes as the days happen. 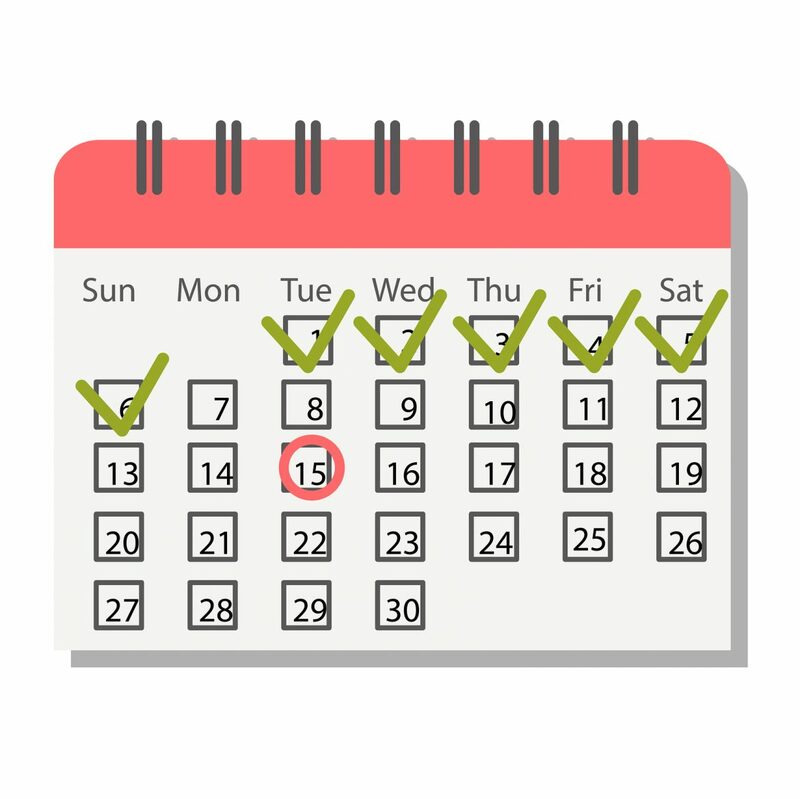 You might have an extra busy day, and so bedtime might happen earlier on the day. 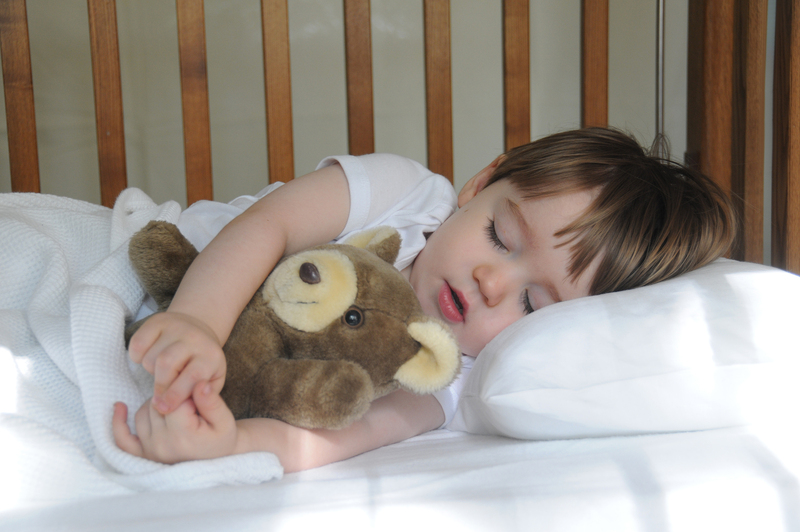 If you’ve been super busy and your little one hasn’t had proper naps, it might be an earlier bedtime. Or it might be later because she happened to have a big nap in the afternoon and now you’ve got to push bedtime back a bit. It’s got to be a fluid notion. Bedtime for me is a fluid notion. Sometimes I go to bed at 10 pm sometimes I go to bed at 8:30 pm, depending on my activity levels and how much sleep I’ve had in the 24 to 48 hours leading up to that. So it’s totally normal for bedtime to not be a static, set time. Babies don’t have clocks. It’s not going to be confusing for them. They don’t know what time it is. How would they know if it’s 7:30 pm or 6:30 pm? It’s not going to be confusing for them. If you do the same little wind-down routine before bed, they’re going to realise that it’s bedtime. So absolutely don’t worry that changing bedtime might be confusing. It’s totally fine. Is sleeping through a development stage? Often, clients will ask me if sleeping through is a development stage. My answer is it isn’t a developmental stage. Developmental stages are things like walking, rolling over, crawling, starting to eat solids, reading, etc. The ability to sleep through or the potential to sleep through without needing milk for nutritive purposes is a developmental stage. It’s generally medically accepted that this is around the age of six months. Some children will organically do it earlier and some children will organically do it later. Some will do it at three weeks (like my second child). My second child slept through 11 hours at three weeks. He then made it up with horrendous toddler sleeping, so I got my juice. Some children won’t sleep through until they’re four organically. Does that mean we have to just throw our hands up and wait for four? No. Absolutely not. 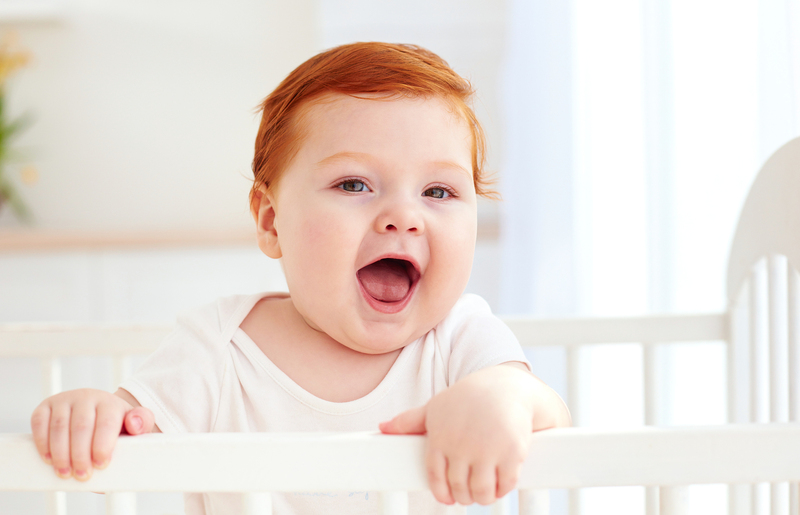 It probably means that your little one is waking habitually. It’s behavioural waking. It’s not that they’re naughty. They’re certainly not manipulating you. It’s just habit. They don’t know how to get back to sleep, so they need mum to do that for them, which is fine – UNLESS it’s not fine for you. When it becomes a problem and you’re losing it, then we can help. You don’t have to make your baby sleep through, but if that’s what everyone in your family needs, then let’s do it or just improve it. Certainly though, sleeping through is not a developmental stage.